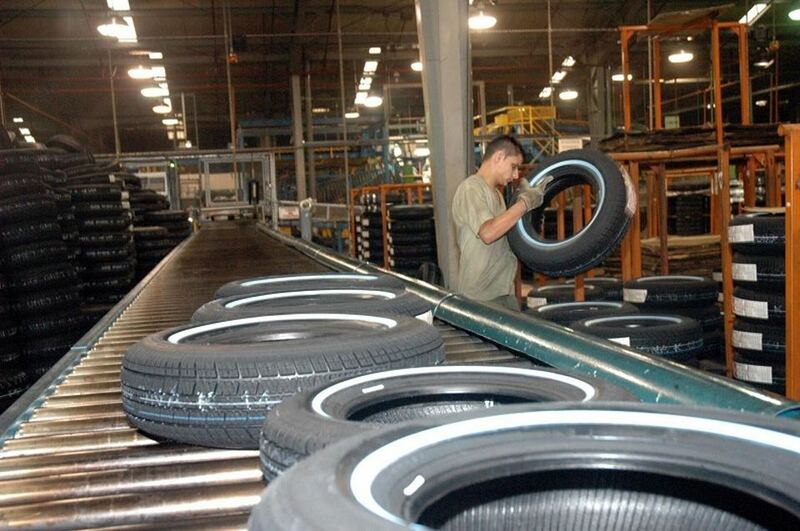 Companies in Costa Rica like Bridgestone (tires) will be able to export immediately without tariffs. (QCostarica) The Free Trade Agreement (FTA) between Costa Rica and Colombia will become effective this August 1, with it expectations of higher exports for some industrial sectors, except that this agreement is a prerequisite for an eventual accession process of Costa Rica to the group of countries of the Pacific Alliance (Alianza del Pacifico – AP) composed of Mexico, Colombia, Peru and Chile. Medicines, tires, foliage, some plastics, frozen bread and cookies are some of the goods that will be duty free starting from August 1. The agreement states that 75% of industrial goods will become duty-free immediately, and the other products within 5 to 15 years. Francisco Gamboa, executive director of the Chamber of Industries of Costa Rica (ICRC) recalled that the union supported the terms in which the FTA was negotiated, as the main trade of the two countries, in both directions, is the industrial sector. Meanwhile, the Minister of Foreign Trade (Comex), Alexander Mora, recalled that the market size of Colombia is equal to all of Central America combined, which raises expectations in that country. Among the products were excluded from the FTA are, among others, oils, some milk, some meats, beer, waffles, chewing gum, some plastic products, paper products and some metalworking goods. Nacion.com reports that “…In the chapter of excluded products were, among others, oils, some milk products, some meats, beer, waffles, chewing gum, some plastic products, paper products and some metalworking goods. Colombia is by far the largest market in South America for Costa Rican products. In 2015 it represented 27% of the value of exports to the continent, according to figures by PROCOMER.